Home / Daikin's shear rate calculator app is out! 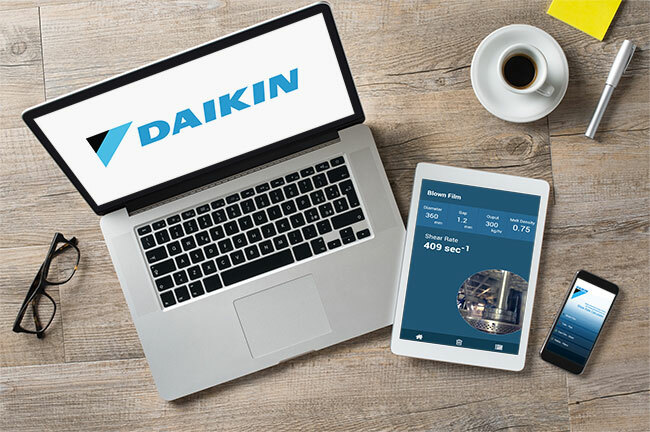 Daikin's shear rate calculator app is out! Daikin is all about creating new value for our customers. Our new shear rate calculator app allows you to quickly and easily determine your product’s shear rate. It can be used for a variety of plastics, in a range of extrusion methods: Blown Film Tube/Pipe Cast Film/Sheet Pellets/Fibers. The app is freely available for iOS and Android devices.